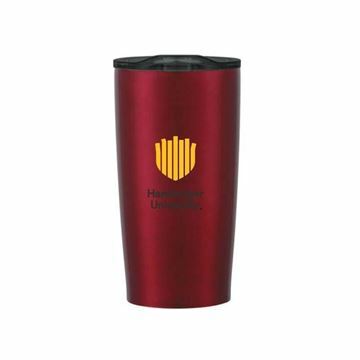 Double-wall insulated coffee mug with sip through lid. 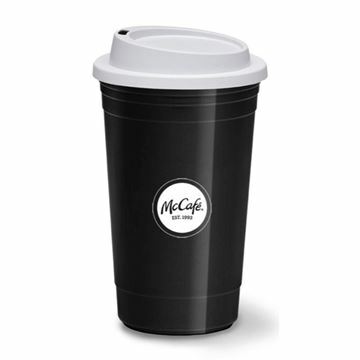 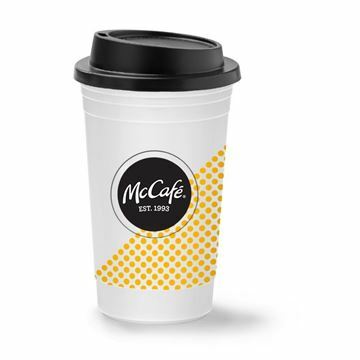 Copper-insulated lining keeps contents cold for 24 hours or hot for 12 hours. 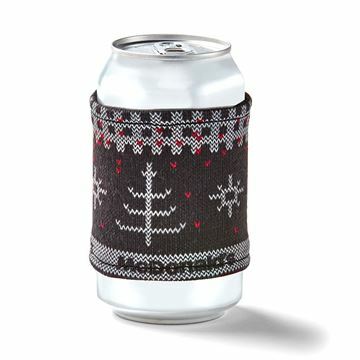 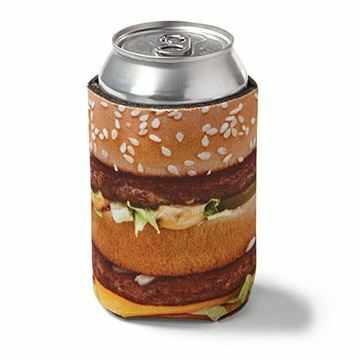 Keep beverages insulated with this one-of-a-kind coozie. 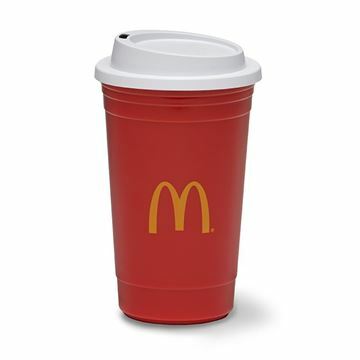 Perfect environmentally conscious solution to foam sweet tea cups. 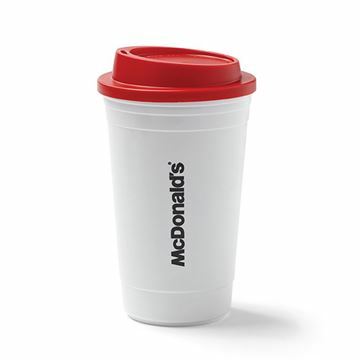 Two custom fit options. 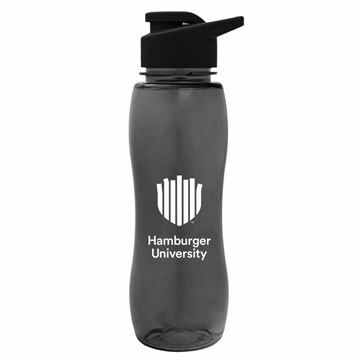 RETAILS for $9.99! 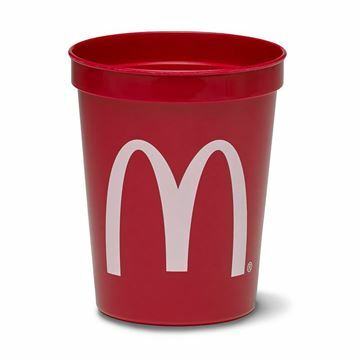 Perfect environmentally conscious solution to foam sweet tea cups. 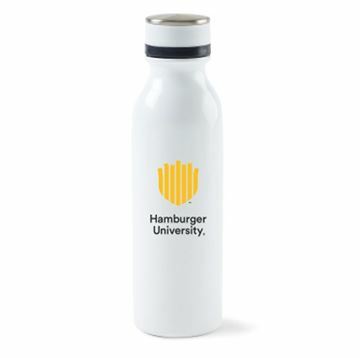 RETAILS for $9.99! 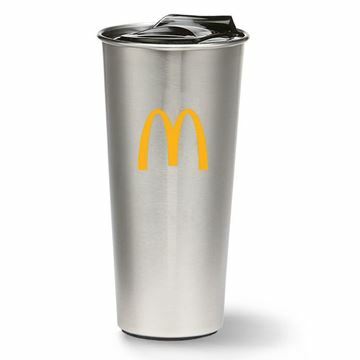 - Imprinted Arches on one side and ""ice-cold sippin'"" on opposite side"
- Double Wall Stainless Bottle - 20 Oz. 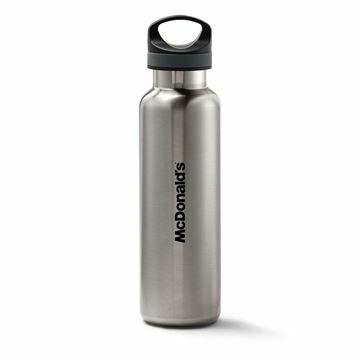 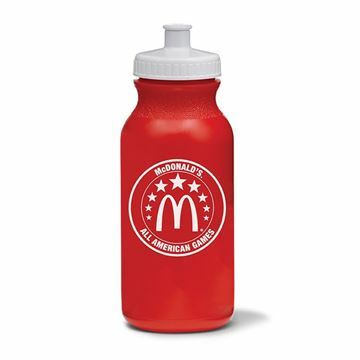 -Water Bottle - 25 Oz.